I hope everyone is enjoying the Holidays with family and friends. I know I am. As the 2017 draws to a close, I’d like to take a look at how the Hillsborough County housing market fared in November of 2017. 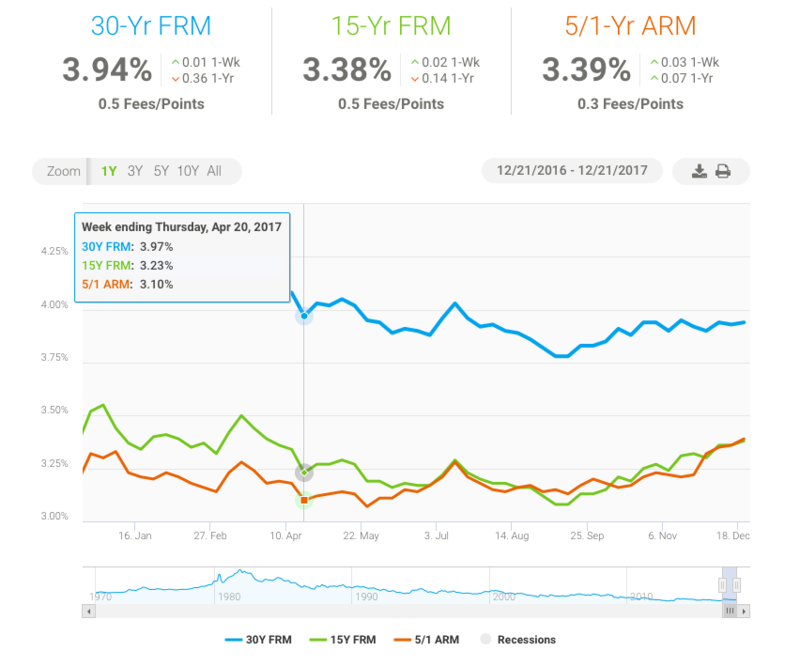 Next week, I’ll review home sales for all of 2017 compared to 2016. Hillsborough County’s Median Sold Price for Single-Family homes climbed to $237,090 in November of 2017, a $13,090 or 6% rise compared to November 2016. The Median for Sale Price also increased 6% from $259,663 (November 2016) to $274,900 (November 2017). This was a $15,237 jump. However, 27 fewer homes sold than in November of 2016. In 2016, 1,554 home sold, but this November only 1,527 homes changed hands. This represented a decline of 2%. Housing Inventory fell as well — from 4.5 months in November a year ago to 2.7 months this November. That’s a 40% drop. The Average Days a Home Stayed on the Market ticked up one day. It took 53 days on average to sell a home in November 2017, while homes sold on an average of 52 days in November of last year. 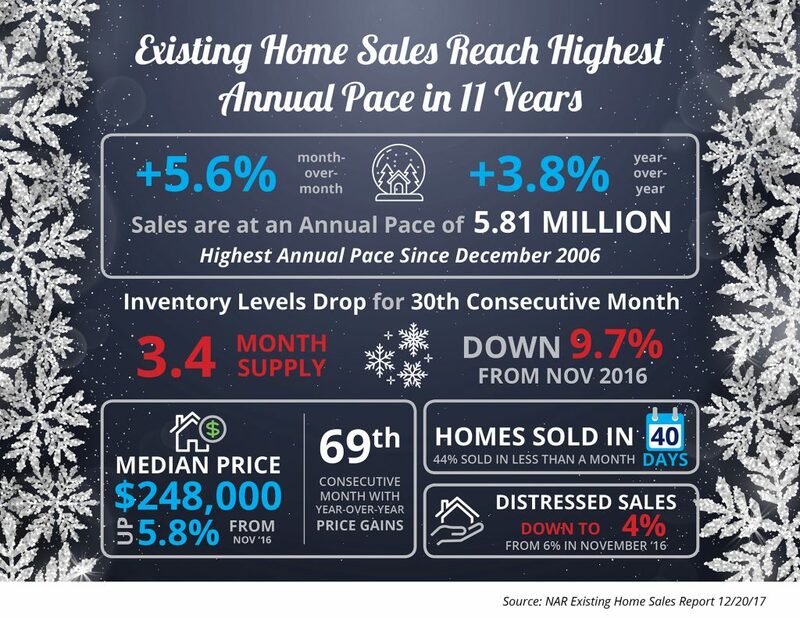 Home sales usually slow down during this time of year so a slight decline in sales compared to November 2016 is not a huge deal. The bigger issue is the ongoing drop in Housing Inventory. This gives buyers less to choose from and can lead to fewer homes being sold. But this obstacle for buyers is a boon for sellers. If you’re about to list your home for sell, you can rest assured that you are not jumping into a market that has too much inventory, but one that needs more homes for sale to meet buyer demand. Three of BayCare Health System’s Hills­borough hospitals are getting upgrades. The Clearwater-based health care company announced Thursday that it will invest $308 million over the next three years to expand St. Joseph’s Hospital in Tampa, St. Joseph’s Hospital-North in Lutz and St. Joseph’s Hospital-South in Riverview. After much debate and several rounds of changes, the U.S. Congress has passed one of the most comprehensive tax changes in recent history. Within the tax reform, many deductions will be taken away, but many new tax loopholes and benefits will be available for the first time. For real estate investors, there are things that you can do today to take advantage of the upcoming tax change and save taxes in the long run. Although the majority of the tax changes will take place in 2018, there are a few changes that actually impact the 2017 year. With the details of the tax changes finally revealed, we now have a better idea on what action items to consider to position ourselves for lower taxes for 2017 and beyond. Americans are parking their cars and stepping up to walkable communities—and increasingly, they don’t mind giving up some living space to do so, a new report finds. Despite Americans’ historically strong preference for single-family homes, a majority (53%) polled in a survey for the National Association of Realtors® said they’d be OK living in neighborhoods with smaller properties, if that means they can walk, rather than drive, to stores and restaurants. In 2015, only 49% would have made the trade-off of living in a condo, apartment, or townhouse in order to be in a walkable community.